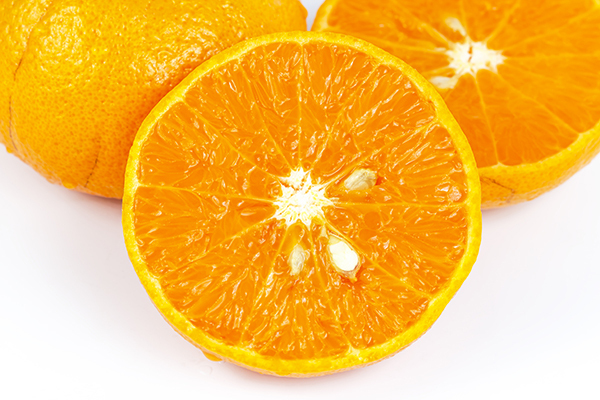 The Valencia orange is known world wide as the "juicing orange." The tree is extremely vigorous and will reach heights of 12-18 feet in good soil. The fruit is medium-large, very difficult to peel because of its thin skin, few seeds, and very sweet abundant juice. This is the orange that most commercial juices are made from because it will stay sweet much longer than navels.